Competing against a mouse; jars of honey in the cellar; tickling a reindeer’s neck with a dagger; a deadly galactic battle that wasn’t; two unhappy new brides and a bust full of heaving chickens: all these featured in the readings chosen by Club members at our Everybody’s Reading special event held on Thursday 1st October. Six of our published writers, representing a range of genres spoke with passion, humour and erudition about writers who had inspired and influenced their own work. They then read, con brio, extracts from key works by those writers. The event was well attended by members and visitors who participated enthusiastically in the book swop and the half time refreshments. Dave Martin, next up, took a very different approach. A published writer of scientific thrillers and latterly a prize winning short story writer, Dave chose to read exacts from Flowers For Algernon by Daniel Keyes. Dave pointed out how this story broke every rule in the book, was the only decent thing Keyes ever wrote, yet was hugely effective and influential on his own approach to writing. 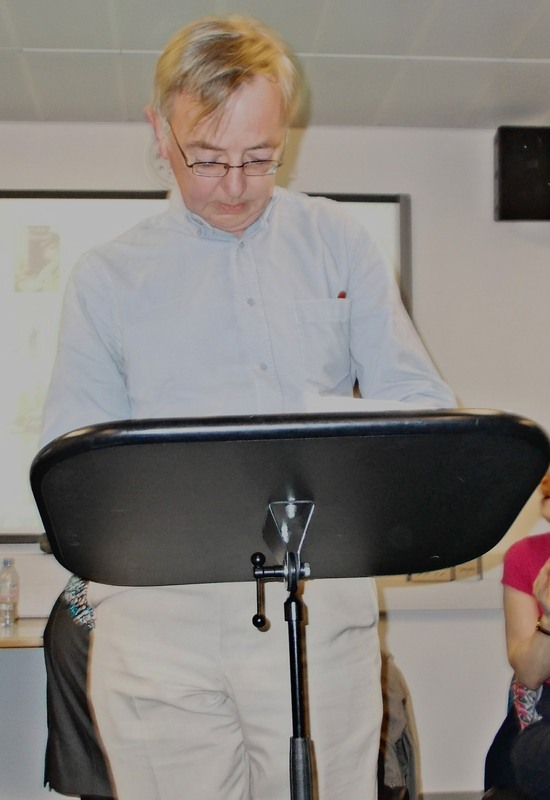 Andrew Bannister, a writer of sci-fi with a new three-book contract, then entertained us with a wonderfully gothic account of how he came across a copy of Iain M Banks’ sci-fi novel The Player of Games. His reading from which motivated at least one writer, [this one! ], to seek out this book. For those who know Andrew’s work, Banks’ influence, both personal and literary was evident and instructive. 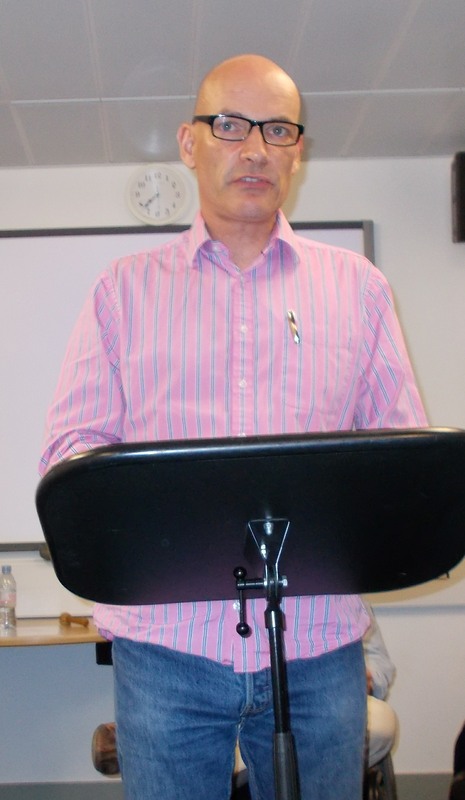 After the break – and a lively, stimulated break it was – we were treated to a double dose of poetry. Siobhan Logan, a poet of the polar regions and of the space race, chose to read, complete with entertaining commentary from Hans Christian Anderson’s The Snow Queen. The other worldliness of the landscapes and the extremities of the narrative resonated strongly with her poetry. 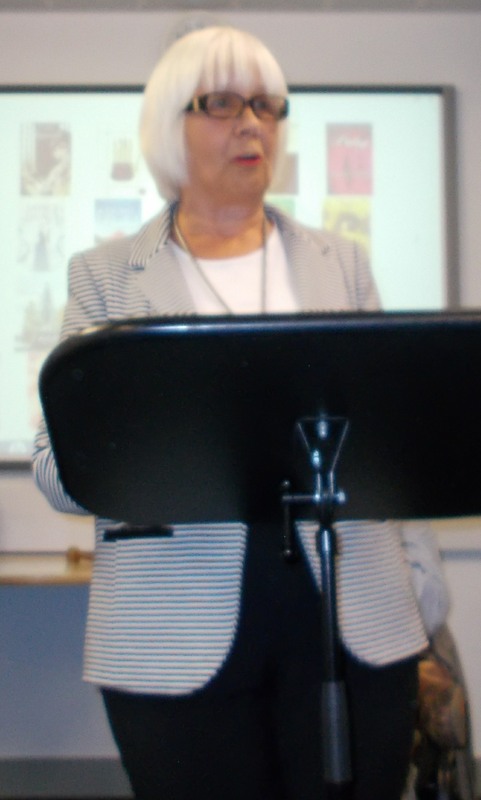 Emma Lee, with three published collections of poetry to her name then spoke of Sylvia Plath, a writer who had significantly influenced her own work and thinking. Emma read Plath’s poem Wintering and one of her own poems. 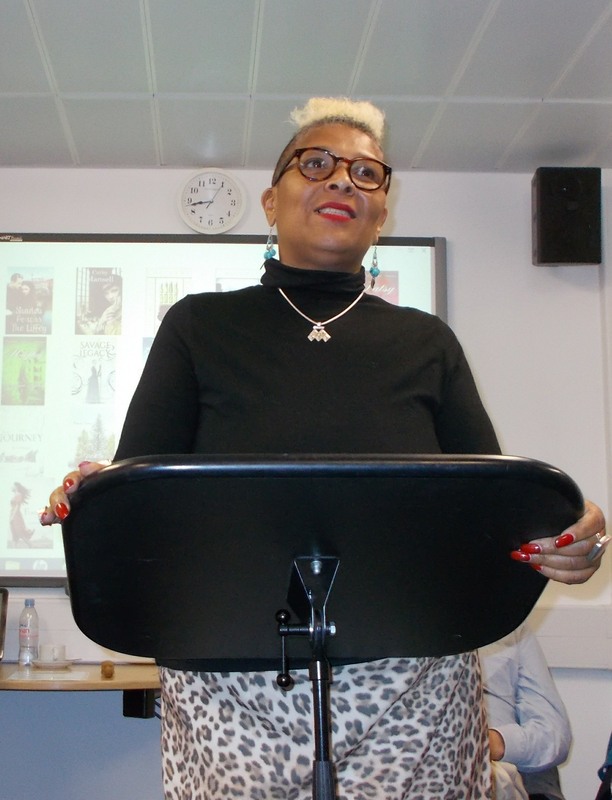 Finally, Carol Leeming talked of her interest in magic realism and the trope of the sacrificial bride in myth and fairy tale. 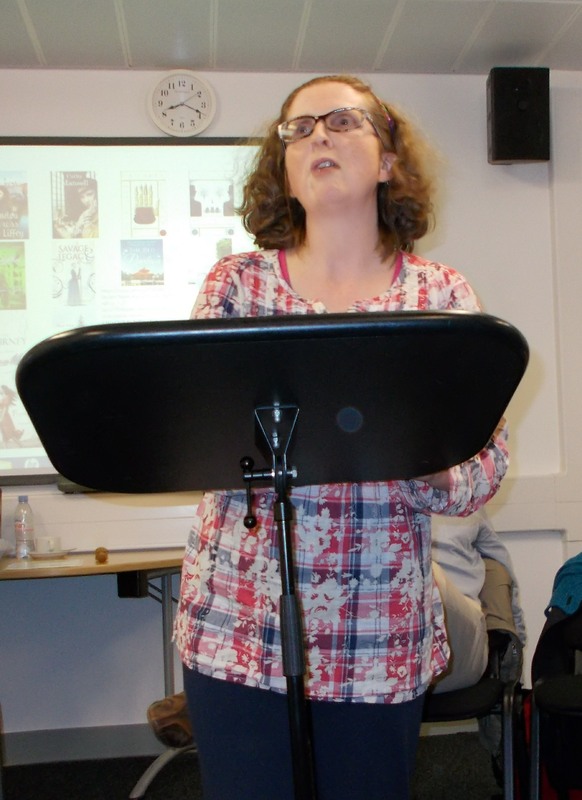 Carol read from Angela Carter’s The Bloody Chamber and from Pao, by local author Kerry Young. 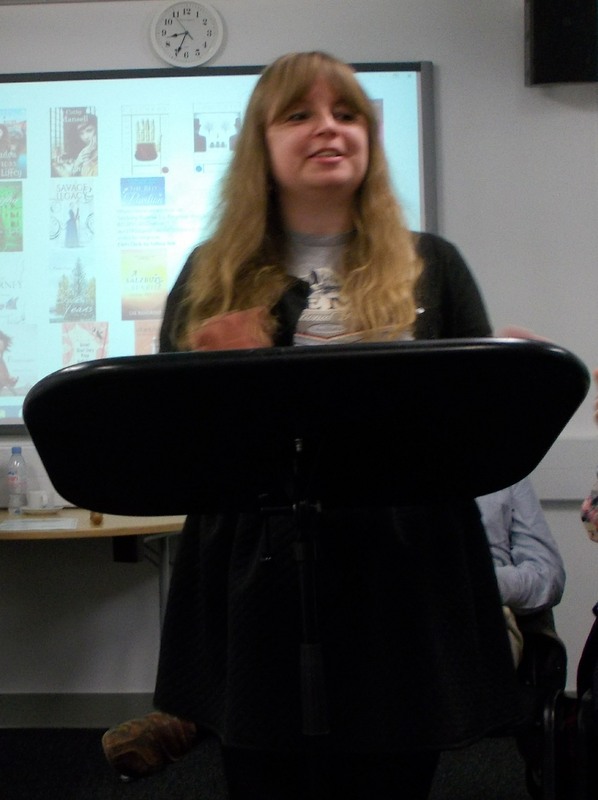 Lively and dramatic, her reading formed a fitting finale to an evening which informed and stimulated in equal measure. It was fascinating to hear of our six writers’ literary journeys and to experience such a range of genres and approaches. We can say with confidence that a good time was had by all.